Three mid-western artists have come together to pour poetic elixir on the wounded with a powerful and unconventional mesh of Neo-Soul, Spoken Word & Hip-Hop. 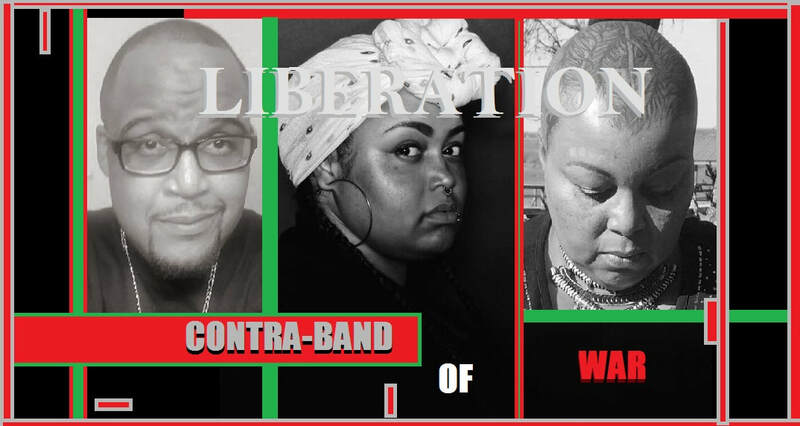 Members of Contra-Band of War have performed and recorded: w/ Bilal, Anthony David, Raheem DeVaughn, Jaguar Wright, Jon Bibbs, En Vogue, Oleta Adams, Peabo Bryson, John Secada, Roy Ayers, Chicago Symphony Cntr, performed in France, London, Hawaii, Mexico and abroad. "Contraband of War" was the status term applied to an escaped slave during the Civil War who fled north and was not returned to slavery, as was the law at that time (Fugitive Slave Act).